The limited floor and wall space in my bathroom leaves little room for a full sized towel rail. I’ve adapted to this by using the shower curtain rail of my shower-over-bath to hang my towels. 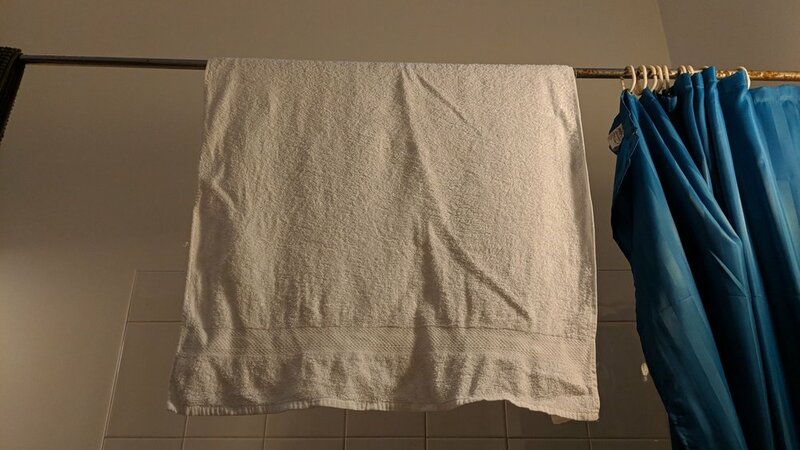 I’ve been trying to get more uses out of my towels between washes to save water and decrease wear but because they hang folded over, they don’t dry that well. 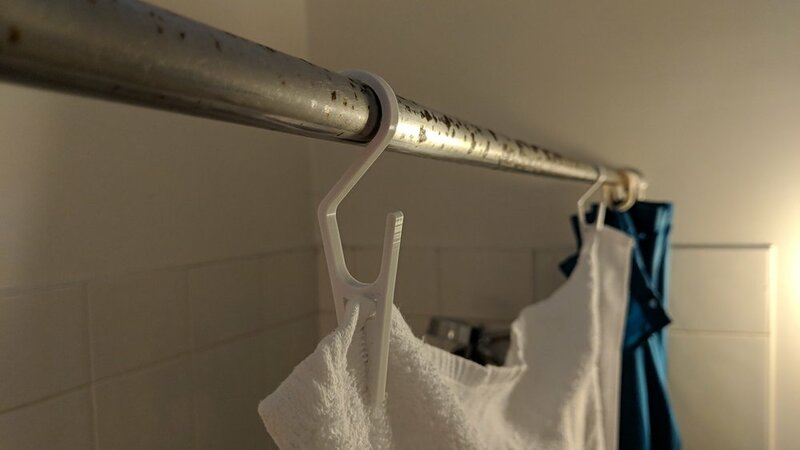 To solve this problem, I designed and 3D printed a simple one-piece peg with an integrated hook for hanging over the rail. Pictured above are the iterations one to three from left to right. The first iteration on the left has quite a short lever and was difficult to open. The second iterations features a longer lever, but over time the peg experienced some plastic deformation that caused it to lose it’s grip. The third and current iteration has a thickened ‘spring’ and features deeper teeth for a better grip that compensates for the initial deformation of the part. If this experiences further deformation after extended use, and exposure to temperature cycling and moisture another revision might be required such as one with much deeper teeth.